Hey everyone! When you're reading this I'll hopefully be thousands of feet in the air on my way to Cyprus. Hopefully not scared out of my wits like I usually am but it's probably likely. 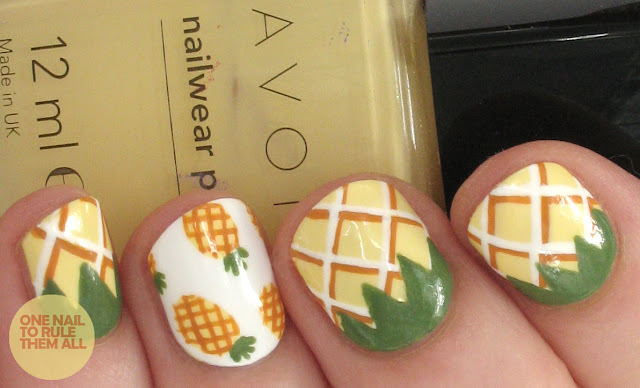 Today's nail art is some cute pineapples I created for Avon. 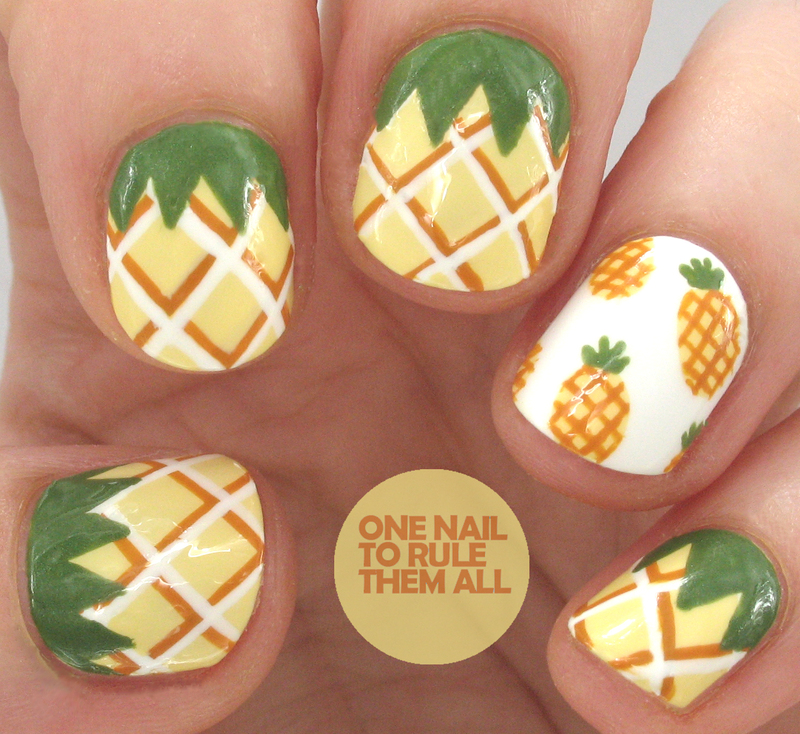 I wanted to mix them up and not do a full set of entire pineapples so I added an accent nail of smaller pineapples. I loved wearing these, they got a lot of attention but they were also super cute and fun, so hopefully you like them too! They are really cute! I love the colours as well! Love them, they are perfect for the summer! Holy spongebob!! These are so cute!!! 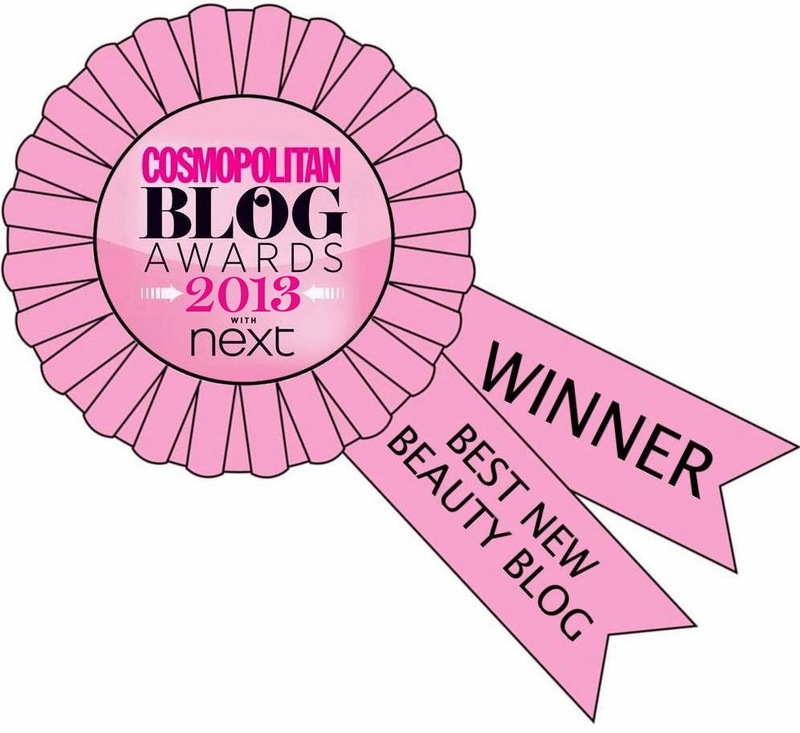 :) love it!! !